Welcome to the ITT Alumni website. We have provided this site so that we can keep in touch with you and let you know how we are growing and developing, and to give you the opportunity to contact us or to renew contact with friends. The Institute of Technology was established in 1977 as a Regional Technical College on a 10 acre site on the Clash Road which is now known as the South Campus. As the Institute grew the need for capital development was initiated, and the North Campus was opened in Dromtracker in 2001. Continued growth has led to the construction of the Solas Building and the Library and Information Resource Centre (LIRC) on the North Campus. At present the Kerry Sports Academy is under construction on the North Campus - the largest education capital development project in Kerry. The Institute with a staff of 350 employees offers both full time and part-time education programmes from Level 6 to Level 10 on the National Qualifications Framework to 3,000 students, with over 70 nationalities pursuing programmes across the three Schools: Business, Computing and Humanities (BCH), Science, Technology, Engineering and Mathematics (STEM) and Health and Social Science (HSS). Presently the Institute employs over 150 researchers including academic staff, researchers and postgraduate students. Two research centres, namely Intelligent Mechatronics and RFID (IMaR) and Shannon Applied Biotechnology Centre (Shannon ABC) are funded under the Enterprise Ireland Technology Gateway Programme. The UNESCO Chair Research Centre based in the Institute is the first in the world in Inclusive Physical Education, Sport, Fitness and Recreation. Currently, Cork Institute of Technology and the Institute of Technology Tralee are working together to create the Munster Technological University. 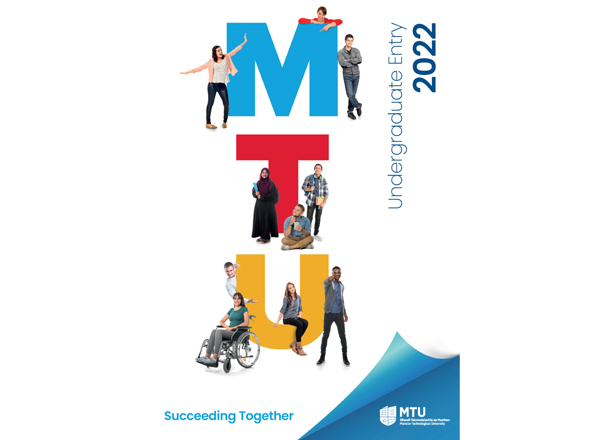 The mission of the MTU is ‘to promote the use of knowledge to realise positive effects for society.’ Both Institutes are committed to achieving Technological University status and have as their objective the registration of students into the new multi-campus Technological University by September 2019. We value our graduates at IT Tralee. Annually events will be planned by the Alumni Board to engage with you, our Alumni. ITT Alumni continues to grow globally making positive impacts within all industries throughout the world. Here at the Institute we look forward to a lifelong relationship with you. Dr Oliver Murphy – President.